Twins conductor: multi-wire Nickel-Copper Alloy Heating Core provides excellent physical flexibility and stability. Tolerance of conductor resistance: -5%+10%. Average power per sqm: 200w/㎡. Available power: 100w to 2400w. Cable linear power: 12w/m, 15w/m, 18w/m. Diameter of cable: 3.8mm, making small bending radius. 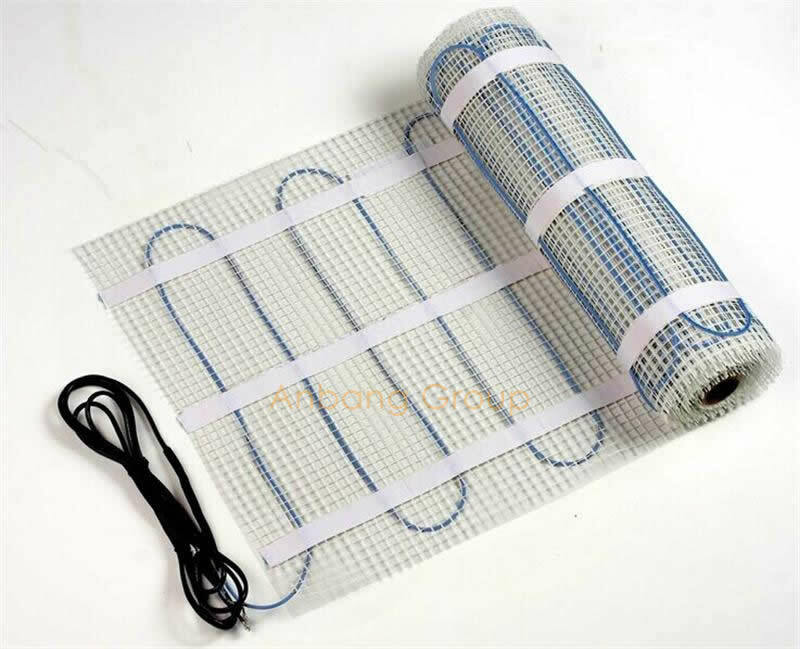 Double Protection: Aluminium Foil plus Braided Cooper Mesh to eliminate electromagnetic radiation, connected to the earth in case of electro leakage. Joint: The connecting part between the heating cable and the power line. To produce multi-protected joint, we adopt double shooting technique to ensure its good physical properties with outstanding water proof virtue. Fiberglass mesh: high temperature resistant, inflammable. Voltage: 110V, 120V, 220V, 230V. T/T: 30% in advance, 70% paid against the B/L copy. 2. Sample order/trial order to be accepted. 3. Customized color box, cartons, shipping marks, and labels are available. 5. Reparing kits(for installation) available upon request.